Whoever said women are the only ones who love shoes never met my sons. They LOVE shoes! Ethan goes through about 8 shoe changes a day. The boy will wear any shoes you’ll let him slip his tiny toes into. We have a lot of shoes in our house. 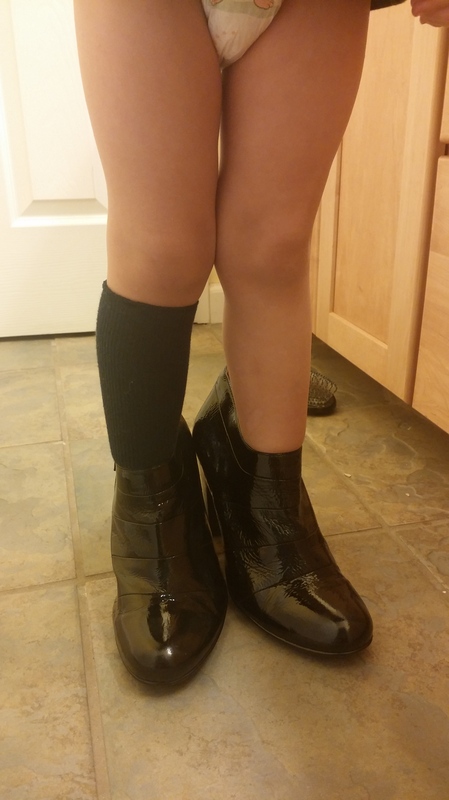 Not only because the boys love shoes, but because there are several small feet to cover. 6 in fact. 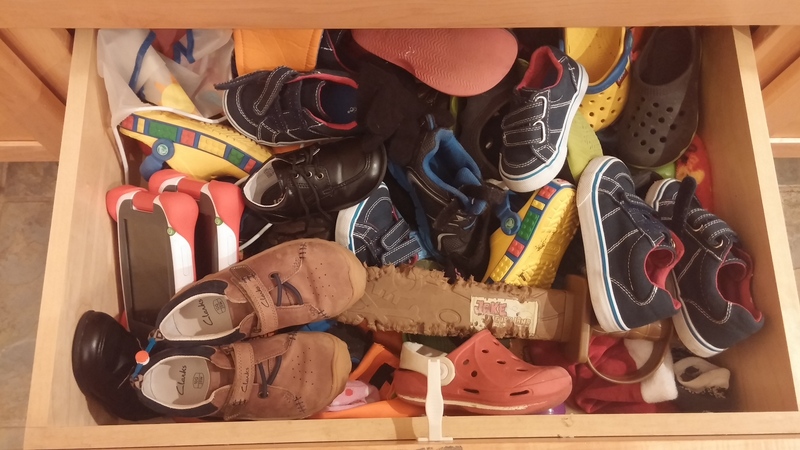 We have a shoe drawer where (ideally) all the boys shoes are kept. As we have continued to add more shoes to the mix with weather changes and growth spurts, the drawer has become slightly difficult to navigate. It’s almost overflowing and many times, I simply cannot find what I’m looking for in the ocean of rubber and laces. We used to spend a lot of time either changing shoes, searching for shoes, or some combination of both. It created several meltdowns by both mommy and sons, and it cost a lot of time and patience. Well no more my friends! Enter Wear A Pear to the rescue! The opportunity to review this product couldn’t have come at a better time. When I started work back in December and we went from leisurely mornings to hectic 5 am wake up calls, I knew I was going to have to get more organized about our shoe situation. There simply was not going to be time for the 30 minute shoe shuffle. Shortly before I began full time work, Wear A Pear entered my inbox and I was thrilled. They came in the mail with a sweet hand written note and I couldn’t wait to slip them onto all the boys shoes. I’ll be honest. 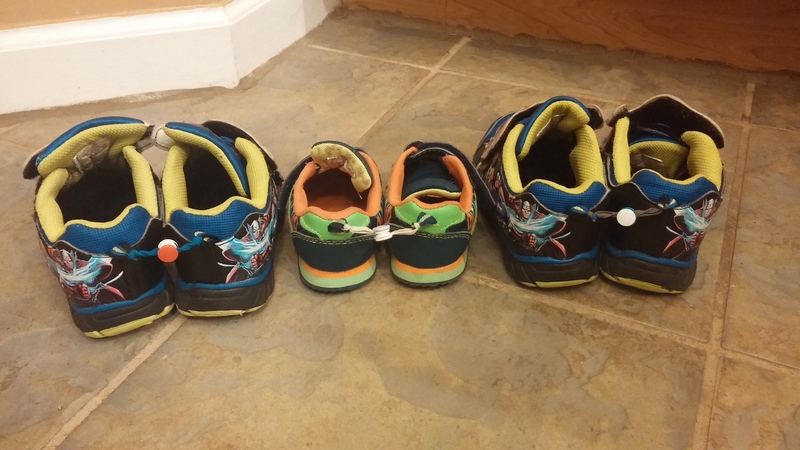 At first, the boys threw a tiny hissy fit about having something on the back of their shoes. Ethan especially was not a fan. He cried and kicked his legs and asked me to take them off. BUT, I will not be swayed! I cannot tell you how nice it is to be able to snap their shoes together and throw them in the drawer knowing that the next time we need shoes, all I will have to do is find one and the other will surely follow. No more frantic searches for the other shoe. No more frazzled, “C’mon bud! Find the other shoe…we need to go!! !” The shoes are right there together and It.Is.Glorious! Another cool feature of the shoe snaps is that each one is a different color in order to help kids learn right and left. This is a great benefit, especially since my boys are notorious for putting their shoes on the wrong feet! You can do something like, “White is right” so that your kids know the shoe with the white snap is always the right foot. But you catch my drift! 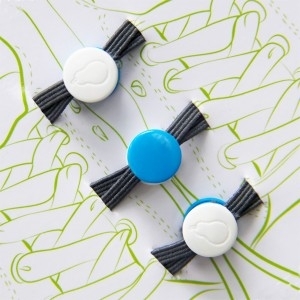 If you too have ever struggled with the daily shoe shuffle, missing shoes, frantic mornings, or even if you’re just a very organized person and want to know where all your kids shoes are, I highly recommend these sweet little shoe snaps! Wear A Pear is a wonderful company and they even have other products! Head on over to their website at http://www.wearapear.com and check out all they have to offer. 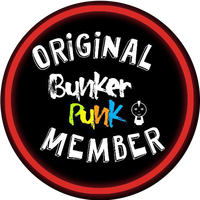 We have certainly loved ours, and I know you will too! 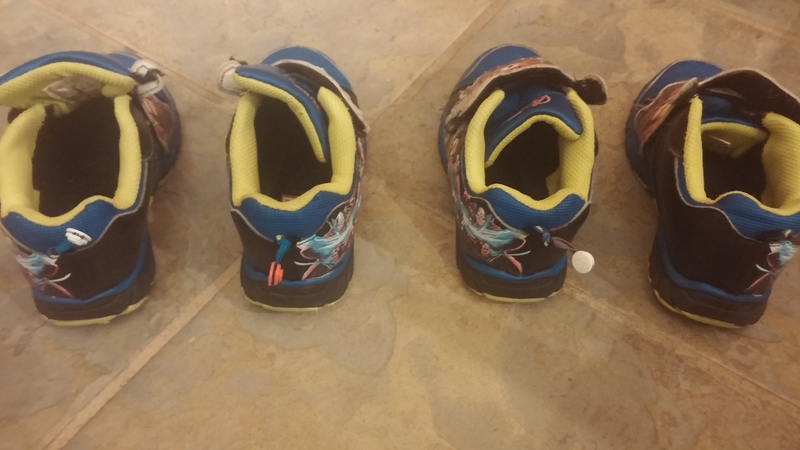 ***I received 3 sets of Wear A Pear shoe snaps free of charge in exchange for my review of the product. All opinions are my own and come from my own experience. Don’t forget to vote! You can click once a day! Cool! From the ranks of the disorganized, I hear you! I like the left and right concept. It’s a tough concept for any kid but I could’ve used something like that particularly for teaching my autistic ones! What a handy little contraption! We frequently find one shoe in one room, the other in another. Haha me too but these have helped a lot!!! I got those too! Although my little lady really only has one pair of shoes seeing as she isn’t quite walking yet. Glad to see you love them! I think they’ll come in handy when she gets a little older! What a handy product! We are always losing Milas shoes! Lauren they really are very cool and very helpful! Oh, I NEED these! We are always losing shoes because my son likes to hide them places. I now put them up high, but these would still come in handy. That picture at the top made me laugh! I love when my son tries to put on our shoes. This looks like an awesome product! I always make sure I know where my kids shoes are the night before b/c when we’re running late, the last thing I want to look for is shoes.